Using an interactive display, such as a touchscreen, entails undertaking a pointing gesture and dedicating a considerable amount of attention to execute a selection task. 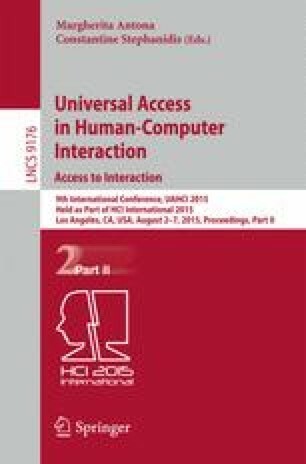 In this paper, we give an overview of the concept of intent-aware interactive displays that can determine, early in the free hand pointing gesture, the icon/item the user intends to select on the touchscreen. This can notably reduce the pointing time, aid implementing effective selection facilitation routines and enhance the overall system accuracy as well as the user experience. Intent-aware displays employ a gesture tracking sensor in conjunction with novel probabilistic intent inference algorithms to predict the endpoint of a free hand pointing gesture. Real 3D pointing data is used to illustrate the usefulness and effectiveness of the proposed approach.